Secure Serenity in the heart of city life. A new landmark at the doorway of Noida’s growth corridor. Our policy is to make clients more pleasing and satisfying. We make a true commitment with clients, so we majorly focus on integrity, sincerity and reliability. We believe to enhancing the customer driven aspirations and confidence through the quality services and affordability. Secure your future with possession linked payment plans. Special offer for minimum period. Migsun Ultimo offers 2 BHK and 3 BHK residential apartments with total area 6.5 acres of land and 6 towers available. The homes are available in size range of 995 sq. ft to 1520 sq. 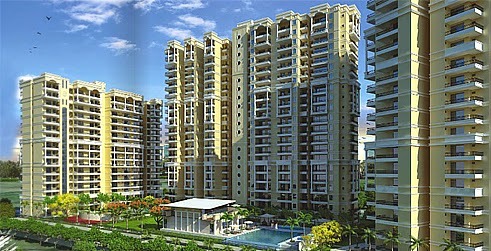 ft. Further, these vastu compliant flats are 3 side open plots. By Migsun group, a name synonymous with innovation. Secure surroundings. Uniquely designed miniature gardens. In the vicinity of operational State-of-the-art SEZ. More than 5 premium hotels close by. Hassle free post possession experience. Fully developed infrastructure and inhabited sectors. Some of the leading schools and colleges in close vicinity. Club facility featuring party room, swimming pool and gymnasium. Will be ready to move and live in state with international standard design and features. This entry was posted in Residential Apartments and tagged 2 BHK Apartments, 3 BHK Apartments, Greater Noida, Omicron III on December 17, 2014 by admin.